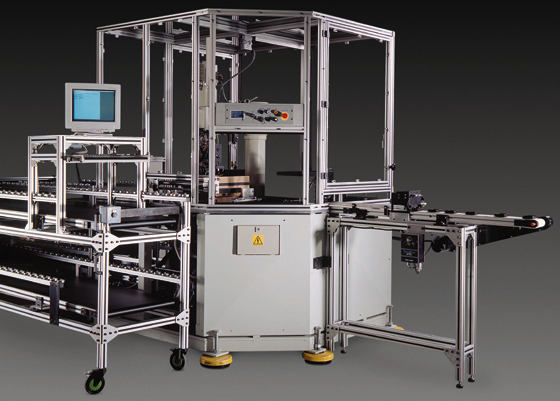 ABCO has a solid reputation for designing and building custom packaging machines and turnkey packaging lines for manufacturers in a wide range of industries. With an ABCO custom solution, companies gain increased productivity, improved quality, and ensured reliability—benefits not usually achieved with standard off-the-shelf equipment. ABCO’s Bag-in-Box Fillers, for example, are widely recognized as the best available in its category. ABCO can support packaging efforts in specification, layout development, budgeting, equipment design/build or procurement, integration, installation, testing, training, and start-up. Many of ABCO’s engineers previously worked at large packaging operations for major manufacturers. ABCO has an outstanding track record for successful delivery and start-up of complete packaging projects. Application Criteria: Design and build a case pack and palletizing system for a production line that handles portable meal kits. The system's objective is to eliminate manual processes, such as case creation, tray handling, inspection, tray picking/packing, and case sealing/palletizing. The Fanuc M410iB/140 robot is designed specifically for palletizing and material handling applications. While extremely reliable and versatile, this 5-axis robot can handle multiple size cases with one adjustable end-of-arm tool. This robot is capable of one cycle every two seconds, making it the fastest palletizing robot in its class.